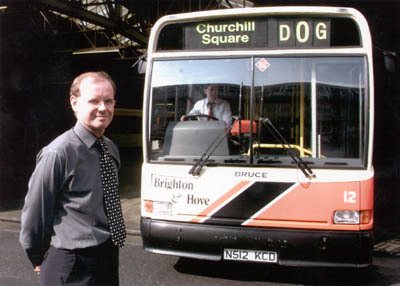 Connections with Brighton and Hove : Brighton Police Dog, put down in April 2002 after biting offenders ear, huge public outcry led to name being put on bus in tribute. 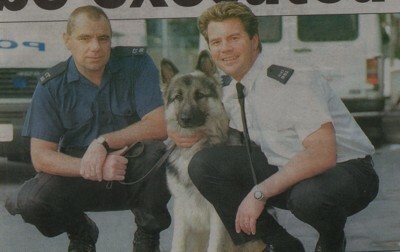 Displayed on bus from April to May 2002. Bus number 12 was temporarily named Bruce for a month in his honour – luckily we could put the name together quickly in response to suggestions from the Argus newspaper as we had a spare ‘Chris Eubank’ name in the office and the letters Bruce could be cut easily from this! 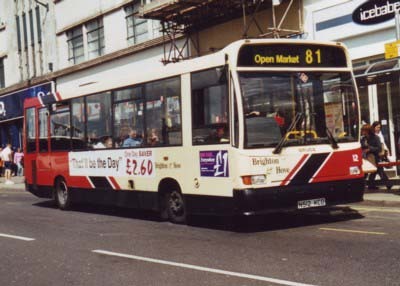 12 Dennis Dart carried name between April and May 2002.